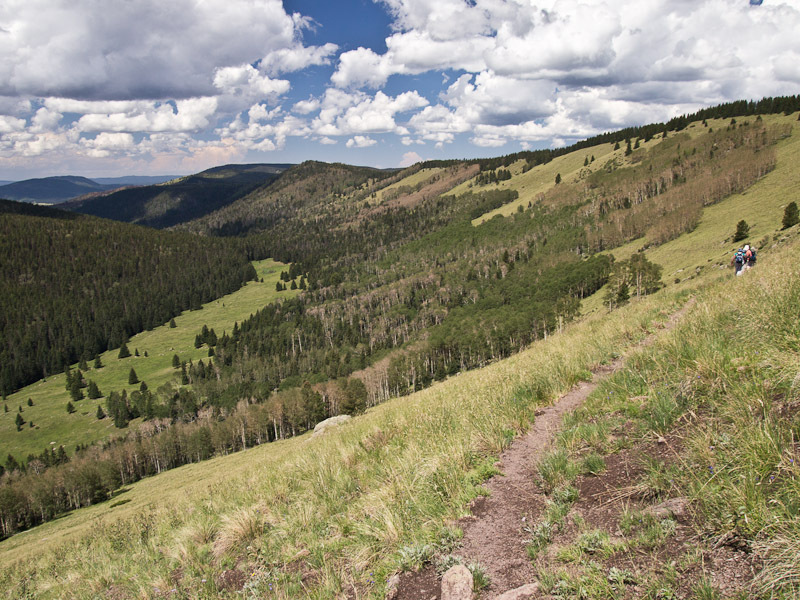 Erin, Calvin, and I went on an LAMC hike led by my dad to the rim of Santa Clara Canyon in the northern Jemez. This was Calvin’s first “real” hike, about 3.5 miles, and it was fun despite a little bit of fussiness on Calvin’s part (he sure eats a lot) and the long drive in (over 2.5 hours from Los Alamos). The views were extraordinary. Upper Santa Clara Canyon from near the trailhead. 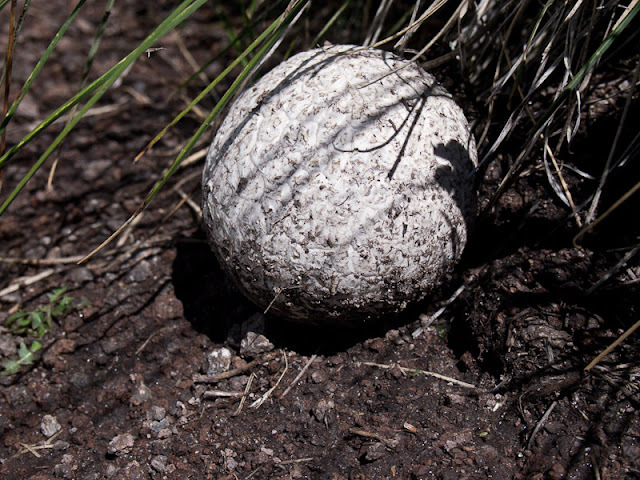 The canyon has an interesting property in that it has no real head — it just slowly slopes over and begins draining into the valles, while staying quite deep. I wondered what causes this unusual phenomenon. 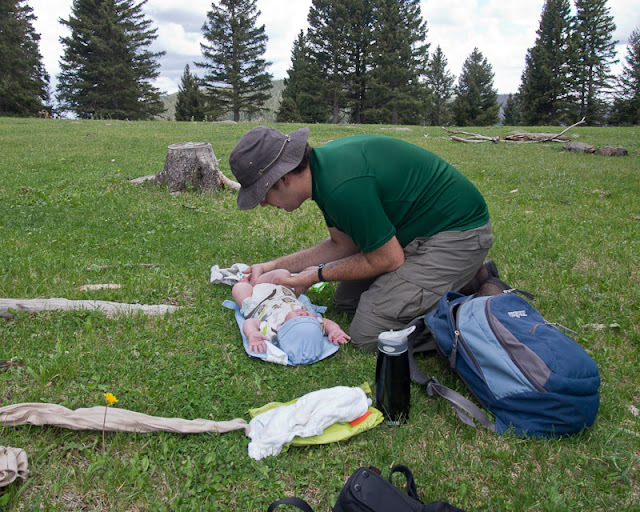 Changing Calvin’s diaper in a beautiful meadow. He was not a fan. One of the worst diaper changes ever, according to him. 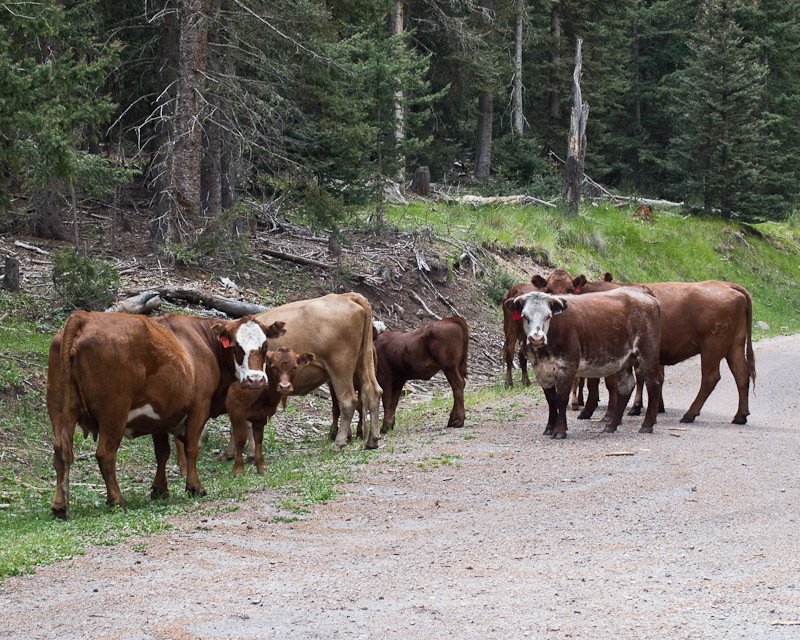 This herd of cows was very perplexed by Calvin’s wailing regarding (yet another) diaper change. The top photo of Santa Clara Canyon is drop-dead gorgeous!! I'll send this to our daughter, who is expecting. She'll be amused at the details about Calvin's feeding and diaper changes! Good for you and Erin at getting outdoors with Calvin!